Intermediate 3 focuses on Dynamic Integration – using progressions and transits with a deeper understanding of the birth chart. and lots of charts!!! 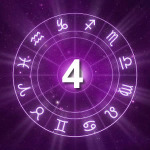 – giving you plenty of fluency practice in both natal and dynamic chart interpretation. This module takes your understanding of chart interpretation much deeper, and you’ll get plenty of practice in dynamic interpretation, using progressions and transits as a matter of course. Everything we study in the Stargazer Astrology Study Programme is applied to your own chart – taking you on an amazing personal journey of discovery! Module fee AU$597 includes Intermediate 3 manual with comprehensive notes and charts. Intermediate 1: Transits, the Time of your Life! Fast Track: Transits, the Time of your Life!